You inspire us every day with your courage and your will to take on new life challenges. We have created LifeStriders for you and hope that you will take full advantage of the services we offer. We know you will enjoy our friendly and knowledgable staff of volunteers and instructors and look forward to seeing you soon. 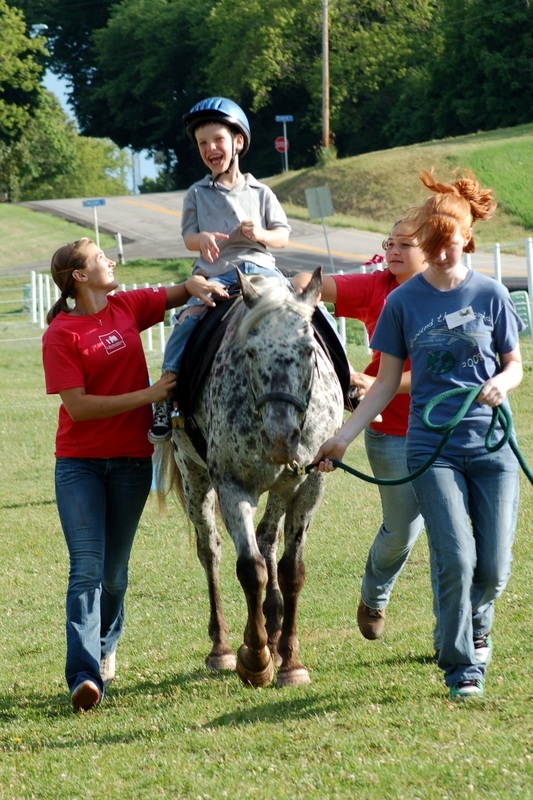 LifeStriders Therapeutic Riding Program incorporates elements of Cognitive Behavior Therapy, Physical Therapy, Occupational Therapy and other modalities in order to address the needs of each client. These fun and interactive sessions focus on clients’ unique strengths in order to help them meet their individual challenges. Children and adults with special needs can experience the beneficial physical and mental benefits achieved through working with horses as partners in healing. Currently we are scheduling Therapeutic Riding Lessons at our center for Winter, Spring, Summer, and Fall sessions and would very much welcome your participation. If you are interested, please email us or call 262.565.6124 and ask to speak with the program manager. LifeStriders is a 501c3 public charity organization. All donations are tax deductible.